The Samuel Oschin Cancer Center in Los Angeles includes a Mesothelioma Program that handles early detection testing, immunotherapy clinical trials and a multidisciplinary treatment approach. The center, which is equipped to treat 60 different cancers, is part of the larger Cedars-Sinai Medical Center, a nonprofit health care organization that has set new standards with its innovative approach to patient care. 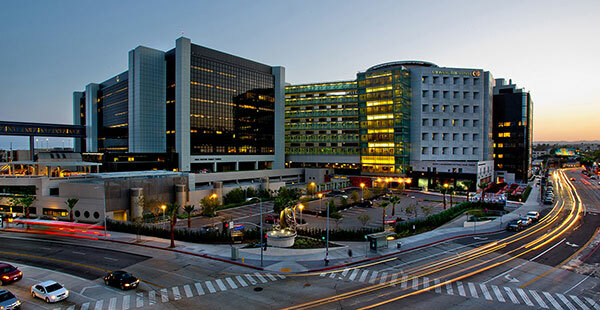 Cedars-Sinai serves more than 1 million people each year with 40 locations. It includes more than 4,500 physicians and nurses, all committed to serving the community, including those who are uninsured and underinsured. The Cedars-Sinai Medical Center has won the Consumer Choice Award in the Los Angeles area for 20 consecutive years by providing the highest quality medical care with a compassionate delivery. The U.S. News & World Report 2017-18 Best Hospitals also listed Cedars-Sinai nationally in 12 categories, including cancer care. The Samuel Oschin Cancer Center is well known for its research programs that pioneer new therapeutic regimens, outstanding clinical care and an integration of services across a growing network of providers. Renowned scientist and cancer clinician Dr. Dan Theodorescu was named new director of the cancer center in 2018. He has been lauded for his personalized approach to cancer care. The Mesothelioma Program has its own team of experts, well-schooled in the intricacies of this rare and aggressive cancer. With 60 cancers being treated at Cedars-Sinai Medical — ranging from common to rare — patients have access to the latest treatments and clinical trials. The Angeles Clinic and Research Institute, an affiliate of the cancer center, offers the best in traditional and experimental treatments. Many of the clinical trial drugs are being studied there with difference cancers. Opdivo (nivolumab), for example, is being tested with lung cancer and pleural mesothelioma. The chemotherapy infusion center is open 24 hours a day, offering 18 private rooms for treatment sessions six hours or more. The Supportive Care Medicine Program offers cancer patients a wide range of help beyond the multidisciplinary care. There is cancer rehabilitation, palliative care, spiritual care, clinical nutrition and psychiatry services available. Disclaimer: Samuel Oschin Cancer Center at Cedars-Sinai has no professional affiliation with Asbestos.com. Cedars-Sinai. (n.d.) Meet Our Mesothelioma Expert Team.